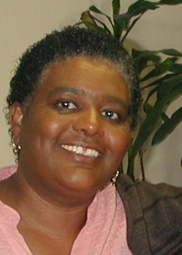 Pamala Springs is a native Californian, raised in a working class African American community in Sacramento, CA. In 1960 she was included in one of the country’s first waves of affirmative action initiatives and participated in an accelerated learning program that promoted her academically. Her family moved to San Jose in 1965 and settled in a culturally diverse community in Alum Rock School District where she attended Piedmont Hills High School. At age 17, Pamala entered San Jose State University, receiving an Equal Opportunity Program grant and majored in Psychology. Expanding her education, she earned accreditations for international marketing, administration, public relations, communications, computer graphics, event planning, property management, fair housing and accessibility courses in Silicon Valley. Her 29 years of corporate employment began in 1980 when Silicon Valley was in its gestation period. Her career as an International Marketing Executive Assistant and Project Manager includes roles within Crocker Bank, Davong, GE Intersil, McDonnell Douglas, British Telecom, Aris Project, Ellipse Peninsula Services, Johnson & Johnson and Self-Help Enterprises. In pursuit of her personal passion for sewing and crafting, Pamala studied textiles and formed her own label in 1973, Kuumba Creations, which evolved into Wilma’s Girl brand in 1998. Pamala has been a consistent champion of civic and cultural education programs for youth and community. Since 1986, while her three children attended school in various districts, she served as a parent advisor to the Black Student Union organization providing guidance and supportive nurturing to adolescents which resulted in many rewarding associations with students, organizations and community groups. Pamala’s volunteerism also affords her an opportunity to unite with parents, educators, corporations, agencies and civic officials who demonstrate leadership and provide significant cultural activities for the benefit of youth. In 1997, she created Kwanzaa Village Youth Expo, a seasonal holiday program which is free to the general public and delivers educational workshops and a festive cultural affirmation celebration of all that is good in the African American community. In 2010, Pamala founded PRIDE Museum, a nonprofit organization committed to expanding educational perspectives on technology and science for youth in Silicon Valley and the Bay Area. In service to her community, Pamala’s wide range of skills and talents has been utilized as a volunteer, organizer, committee member and advisor for many groups which includes; United Way, American Cancer Society, Walk for AIDS, Jack & Jill of America, Alpha Kappa Alpha Sorority, Inc., Pegasus High School, African American Community Services, National Society of Black Engineers (NSBE), African American Arts, Johnson & Johnson Corporation Community Grant Board, Interior Image Design, MLK Celebration, National Medical Association (NMA), Juneteenth Celebration, African American Women on Tour and The Alhambra Group, Self-Help Enterprises After School Program, Hispanic After School Program (HASP) and Tutoring, Adult ESL Education and Toys for Tots. She is the recipient of the NAACP President’s Award for Community Service and Alpha Kappa Alpha Eta Rho Omega Chapter Community Service Award.